This content is provided by Philipp Strasser. 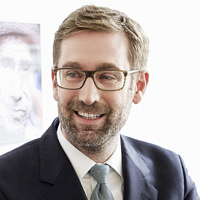 Philipp Strasser enjoys an impeccable reputation as one of the leading insurance litigators in Austria. His expertise covers every conceivable area of insurance law including reinsurance, corporate liability issues, product and public liability and property insurance. His breadth of niche expertise in specialist insurance areas such as professional liability, errors and omissions (E&O) and director and officer (D&O) is rarely found in Austria. Apart from insurance, Philipp is recognized for his expertise in contract and tort disputes, as well as post-M&A, restructuring and shareholder disputes. Through his work, Philipp has been shaping the Austrian insurance law landscape and he continues to leave his imprint through the high-profile cases he is put in charge of by some of the largest insurers in the world. Regular publications on dispute resolution, insurance and reinsurance topics.